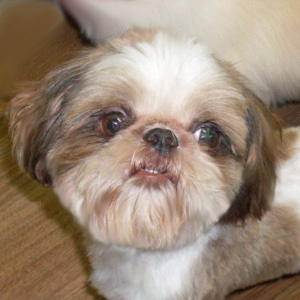 SANTO (Shih Tzu) joined us in December 2012. He was a retired breeder. Santo was the sweetest little boy anyone could meet. He loved to be held and cuddled and would tuck his little head right into your shoulder. He loved everyone he met and was packed full of love. We shall miss him. 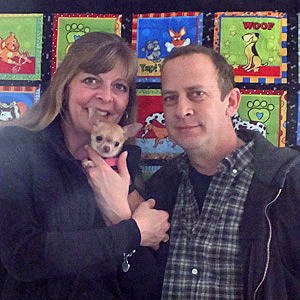 SAMONA (Chihuahua) joined us in September 2013. Such a tiny little girl full of so much love. She won everyone's heart that met her. She wanted nothing more than to be in your arms. She freely gave lots of kisses and when she looked up at us with those beautiful eyes the world was hers. 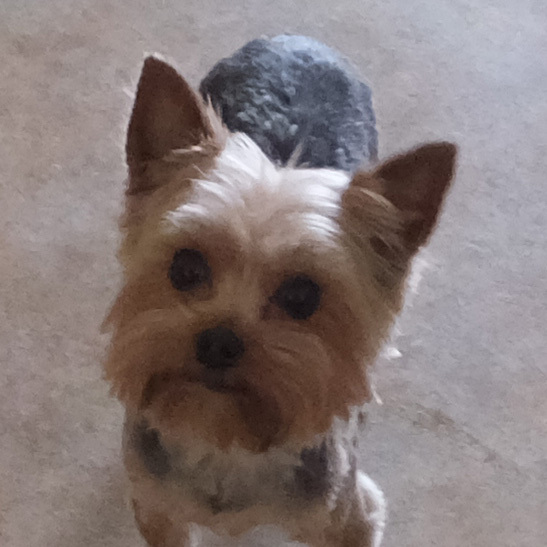 KENZIE (Yorkshire Terrier) joined us in January 2015. What a sweet little girl! She was full of so much energy and love. She loved to cuddle with the other pupsters and definitely liked her lap time. We miss those sweet kisses and beautiful brown eyes. 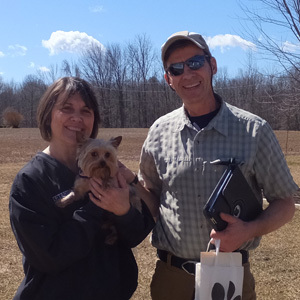 MATILDA (Yorkshire Terrier) joined us in February 2015. Matilda was so shy and withdrawn when she first arrived. Gradually she began to come out of her shell. What a joy she was! She was still playing "catch me if you can" when she left us, but we know with all of the love that will be bestowed upon her she will realize how much she is truly loved. Our sweet Matilda left all of those who loved her and crossed the Rainbow Bridge on March 10, 2017. 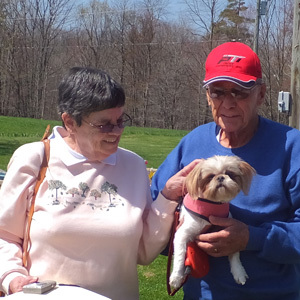 Brandy (fka NUTMEG Shih Tzu) joined us in April 2014. Nutmeg was very fearful when she arrived. She was a retired breeder. Day by day she began to trust. As her personality emerged we learned what a character she could be. She was always on the go and curious about everything around her. She wanted nothing more than being held, cuddled and kissed. We miss her! 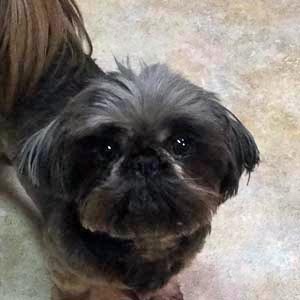 Shelly (fka DELLY Shih Tzu) joined us in October 2014. 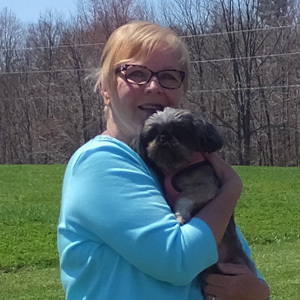 Shelly was a retired breeder. When her paws hit the floor she was on the move! She was packed full of energy and love. She loved all of the other pupsters and just loved to play, play, play. She definitely kept us on her toes while she was here. What a little doll baby! 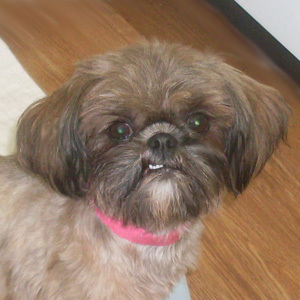 Ginger (fka LOUANNA Shih Tzu) joined us in August 2014. 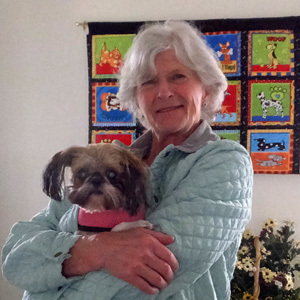 Ginger had been a breeder girl and then went to a home. 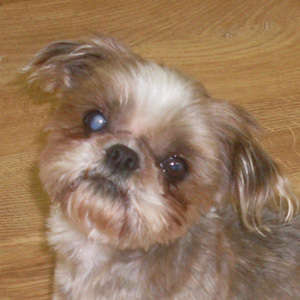 The owners called and did not know how to deal with her blindness. 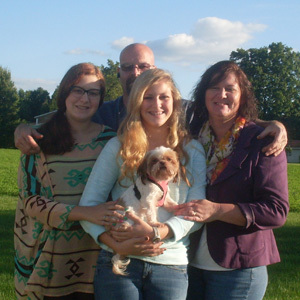 They had not been told she was totally blind only sight impaired. She was so unsure of herself when she arrived and isolated herself in corners where she felt safe. Little by little she began to explore and before we knew it she was exploring the whole house. She was an amazing little girl and one would never know she was blind. 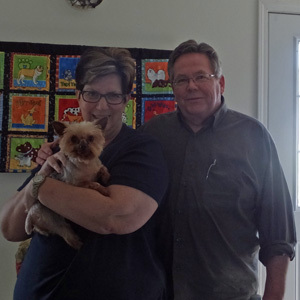 We adored her and know she has found a wonderful home where she will be loved forever. 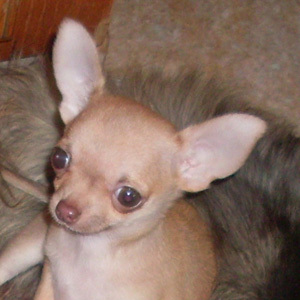 Hyacinth (fka MEEKA Chihuahua) joined us in September 2013. Hyacinth was a retired breeder. She was an absolute joy. So very sweet, gentle and lovable. Her little brown eyes just melted our hearts. Once in our arms she would stay forever. We shall miss her tucking her little head into our necks. 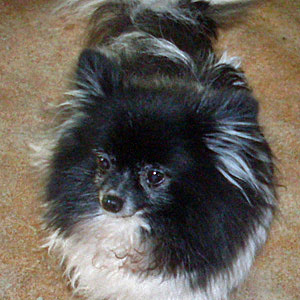 PETALS (Pomeranian) joined us in June 2013. Petals was a retired breeder. 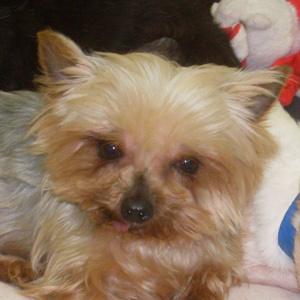 Breeder called and said Petals had injured her leg in a wire crate she was housed in. Her leg was broken. We tried for three months to save the leg, but in the end it was necessary to remove the leg. Petals was such a brave little girl and less one leg did not slow her down a bit. 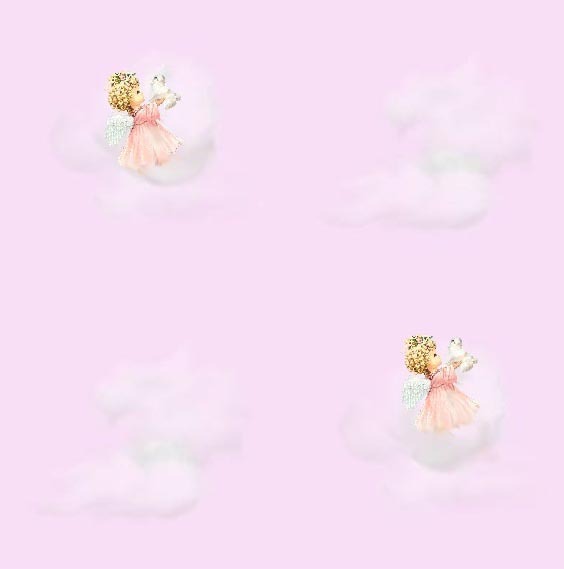 As she realized she was loved beyond measure she blossomed into the sweetest little girl. We loved her to pieces and will miss her. Our sweet Petals left all of those who loved her and crossed the Rainbow Bridge on September 13, 2017. 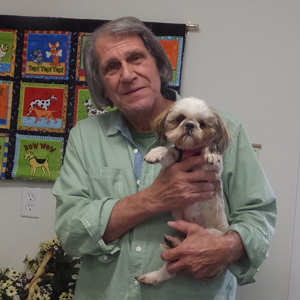 DELENA (Shih Tzu) joined us in July 2015. Delena was a retired breeder. When Delena arrived everyone knew she was here. At first she was a bit shy, but once she was comfortable she was busy, busy, busy. She loved to be held and cuddled and would play until she was exhausted. She will be missed. 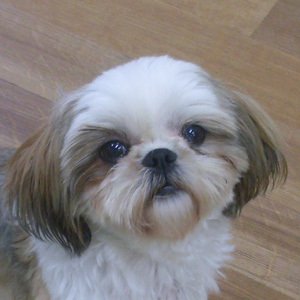 RAZZY (Shih Tzu) joined us in May 2014. 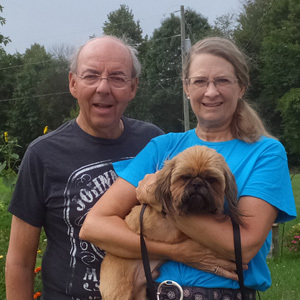 Razzy had retired from the breeding world. Razzy was an amazing little boy. So loving and gentle. He was a quiet little boy who wanted nothing more than lots of loves and cuddles. Our Razz M Tazz owns a great big piece of our hearts. He was a very special little boy. 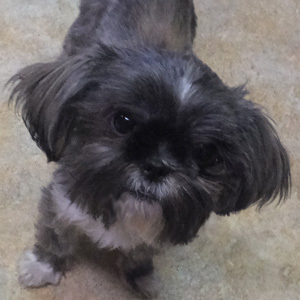 JUBILEE (Shih Tzu) joined us in July 2015. Jubilee was a retired breeder. She was shy and very unsure of herself when she first arrived. We tell all of our babies love conquers all and we were successful once again. Jubilee responded quickly to our hugs, kisses and quiet words. She left us trusting those around her and we are so proud of her! 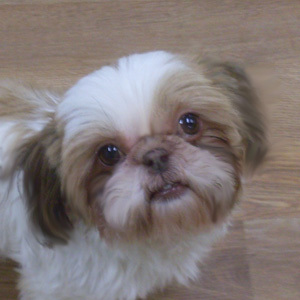 TINKER (Shih Tzu) joined us in June 2015. 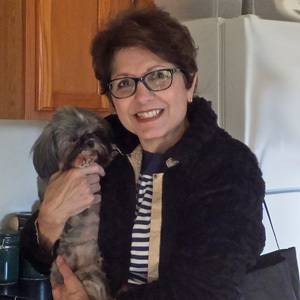 Tinker's Mom could no longer care for her so she joined the PATR Crew. 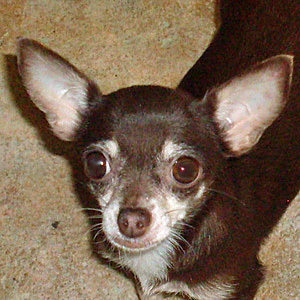 Tinker had been well loved and was a little doll baby. She loved to go for long walks, was right there for a ride in the car and definitely demanded her share of cuddles and kisses. We enjoyed her sweet kisses and loving personality. 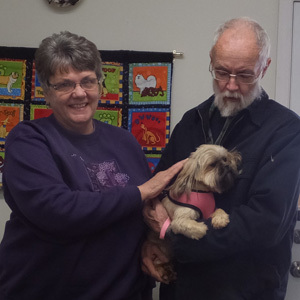 CHIFFON (Shih Tzu) joined us in April 2015. 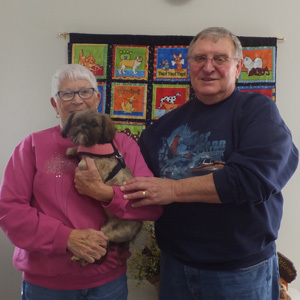 Chiffon was turned over by her breeder due to kennel downsizing. What a beautiful sweet little girl she was. It took some time for her to get comfortable and once she realized that hugs were on the menu she was begging for those hugs constantly. She was an exceptional little girl and we shall miss her. 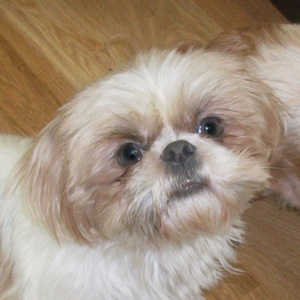 MILEY (Shih Tzu) joined us in August 2015. 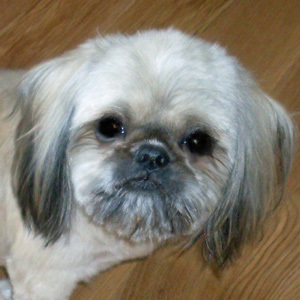 Miley was a retired breeder. 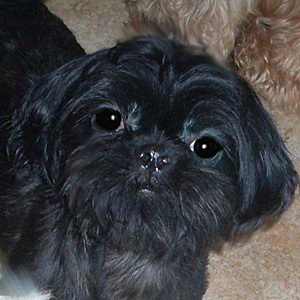 The minute we saw those little liver lips and beautiful eyes our hearts melted. Miley was a little doll baby. He loved to be loved and enjoyed everyone he met. What a guy!! 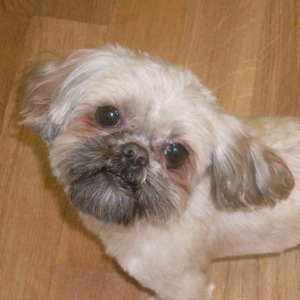 Taffy (fka TRYSTA Shih Tzu) joined us in March 2015. 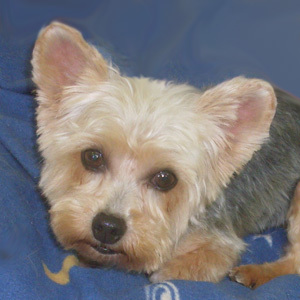 Taffy was a retired breeder. She arrived shy and withdrawn. Little by little she realized all was safe in her world. Eventually she realized lap time was wonderful and hugs were the best. She left us happy, confident and the best kisser ever! 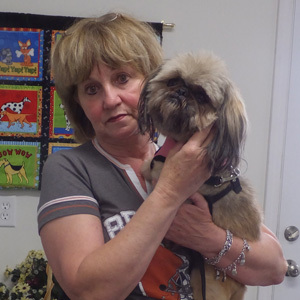 Mia (fka ZESTY Shih Tzu) joined us in December 2014. Mia was a puppy when she arrived. The breeder sent her to us for she suffered from a genetic mange. 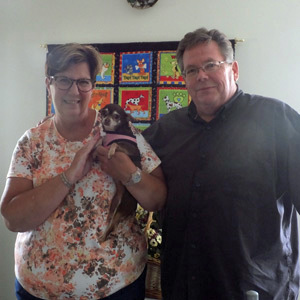 With proper veterinary care she healed slowly. 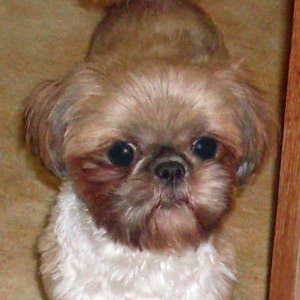 Mia was a sweet, lovable baby just packed full of energy. She kept everyone on their toes here. She loved all of the other pupsters and playtime was the name of the game. 'Tis a bit quiet without her here. 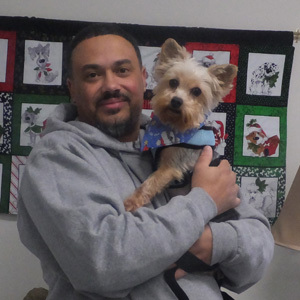 TREVOR (Yorkshire Terrier) joined us in August 2015. 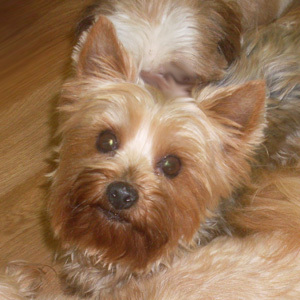 Trevor was a retired breeder. He arrived very shy and at first had a difficult time adjusting to his environment. Little by little he began to understand that all was well in his world. He left us a loving, confident little boy. We are so proud of him! 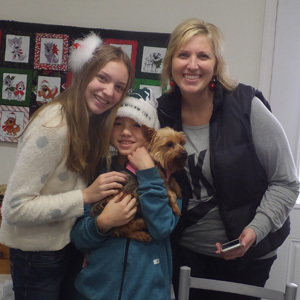 DAPHNE (Yorkshire Terrier) joined us in August 2015. Daphne had retired from the breeding world. It didn't take her long to get comfortable and what a love bug she was. 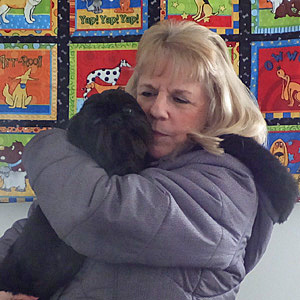 She was so generous with her kisses and wanted nothing more than to be held and cuddled close. Quite the character, our little Daphne. 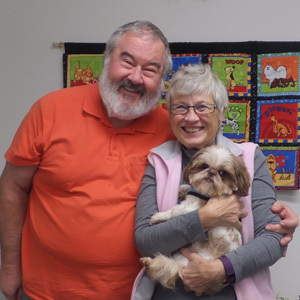 FARLEY (Shih Tzu) joined us in July 2015. 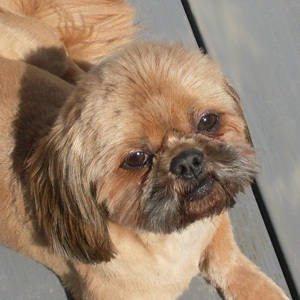 Farley was a retired breeder. He was so afraid when he first arrived and showed no interest in things around him. We worked tirelessly with him to assure him that he was safe and loved. Gradually he began to respond. He left us a happy, loving, well adjusted little boy.